It is clearer than ever that Chinese regulators take AML as a major priority, but domestic banks can lack the expertise to meet ever-increasing requirements. Chinese regulators have made it clearer than ever that AML (anti-money laundering) is a major priority, with PBOC (the People’s Bank of China) recently posting on its website a notice from the State Council – the government’s main executive body – which elevates AML to a key part of the national strategy on financial regulation. This is just the latest sign of the rapid development of China’s AML regime. 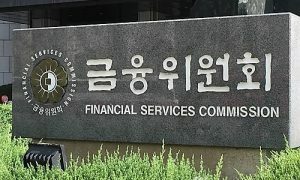 Authorities have been encouraged to act by a number of cases which have highlighted a lack of transparency and controls in the domestic financial sector. These range from the alleged illicit disbursement of funds from Hong Kong’s Bank of East Asia to senior executives at Shandong-based Evergrowing Bank, to the disappearance of billions of yuan from China Minsheng Bank private accounts. The tightening of AML rules is also a result of efforts to bring China’s regulatory regime more in line with global norms, a shift evident on multiple fronts. As outlined in the statement by leaders attending the G20 summit in Hangzhou in 2016, China is moving to integrate its supervisory mechanisms for AML, anti-terrorism financing and anti-tax evasion (what it has dubbed the ‘three-antis’ approach, or ‘三反意见’). 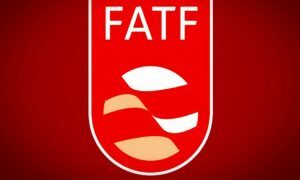 Chinese regulators are also demonstrating commitment to international standards and adopting best practices from their global counterparts by participating in the Asia/Pacific Group on Money Laundering, the Eurasian Group on Combating Money Laundering and Financing of Terrorism, and the mutual assessment initiative of FATF (the Financial Action Task Force). China is also moving to join the Egmont Group of International Financial Units. As anti-money laundering rules evolve, compliance remains a major challenge for Chinese financial institutions, where regulations have traditionally been more stringent. China’s state banks, for example, have faced sanctions from authorities in Europe and the United States for apparent AML violations. Pressure will also be increasing on Chinese banks at home. New rules have been introduced, such as the requirement for banks to report withdrawals and overseas spending over certain thresholds, which will require additional time and resources to address. As banks look to boost compliance, finding and retaining the relevant talent is likely to be an issue given the local pool of AML expertise is very limited – as would be expected in a market where AML is a relatively recent focus. Banks, due to resource shortages or other reasons, fail to ‘get it right’ with AML face severe consequences. Beyond the possible financial and reputational damage, the penalties for enforcement lapses under China’s AML regulations range from hefty fines to full-scale business suspensions. Technology can be a double-edged sword in the AML context. On one hand the exponential growth of internet finance and mobile payments in China provides another potential avenue for fraudulent transactions that both authorities and banks grappling with human resource and capacity constraints could struggle to adequately monitor. Yet for resource-short banks, technology can also play a leading role in a robust and effective AML strategy. Regulators are actively encouraging institutions to apply new technologies such as big data and cloud computing to enhance AML supervision. Banks are also being urged to expand AML inspections and encourage information-sharing between various departments to get a more holistic picture of associated risks. Domestic regulatory changes will increasingly require banks to monitor and flag suspicious transactions, incorporate more due diligence into the customer onboarding process (such as cross-checking of personal details against international watchlists), and report more activity to regulators. Automating these tasks will help banks address the AML talent gap by reducing the amount of human intervention required. Automation will also increase consistency and minimize the scope for human error, leading to lower risks of regulatory scrutiny or sanctions. In addition, it creates the opportunity to assemble and analyze repositories of high-quality data that can be reliably mined for business insights. That said, the implementation of an AML system will in many cases involve fundamental changes to business structures and processes, and like any transformation should be approached carefully. Banks need technology partners with domain expertise and in-depth knowledge of how regulation is progressing at the international level. These providers should have the capability to offer an ‘end to end’ solution that spans all aspects of AML, from name checking to transaction monitoring, risk assessment and reporting within an integrated financial crime control system. Rather than a possibly disruptive (and costly) ‘big bang’ approach, banks should also consider a modular solution that allows automation to progress in stages, deployed selectively where it is needed most to meet regulatory or business demands. The pace of regulatory change in China in particular means banks should seek out solutions with the flexibility to address sudden adjustments to parameters or requirements – and to scale up with the growth of their business. Leading Chinese banks are already adopting modular solutions to implement AML initiatives that are being rolled out to branches at home and overseas to ensure they meet international standards and processes. The challenges around AML cannot be overstated. But at the same time the development of regulation in China gives local banks the chance to embrace an evolution of their own. Institutions can take the opportunity to introduce more efficiency and intelligence to their business processes, and adopt compliance practices that will enable them to compete effectively on the global stage. Bao Yaqi and Ben AuYeung work for Wolters Kluwer’s APAC Finance, Risk & Reporting business.